The Papworth Team Ministry, Deanery of Bourn in the Diocese of Ely. 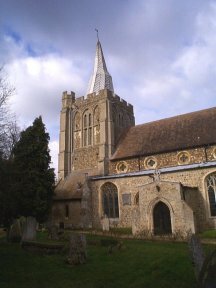 Comprises the parishes of Bourn, Boxworth, Caxton, Conington, Croxton, Elsworth, Eltisley, Graveley with Papworth St Agnes, Kingston, Knapwell, Lolworth, Longstowe, Papworth Everard, Toseland and Yelling. For further details please click here for the Papworth Team Ministry website.